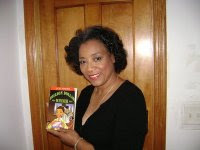 Arlene Jones - Featured Columnist Austin Weekly News: Hmmm, Sandi Lee Stevens-Jackson ON Jesse Jackson Junior's Payroll! Hmmm, Sandi Lee Stevens-Jackson ON Jesse Jackson Junior's Payroll! Yeah I know. All politicians do it. But I still look at a man who was barely overweight and lied about his weight loss procedure as suspicious. Now this. And what's up with Jacqueline Jackson, Jr.'s (yeah there a Jesse and Jacqueline Jackson namesake for each parent) hairline????? May 21 (Bloomberg) -- Representative Jesse Jackson Jr.’s congressional campaign organization has paid his wife at least $247,500 since 2001, including at least $95,000 after Sandra Jackson joined the Chicago City Council two years ago, according to federal election records. Jackson’s political committee also gave at least $298,927 in cash and in-kind contributions to Sandra Jackson’s campaign fund, which bankrolled her races for a city council seat that pays more than $100,000 per year and an unpaid position on the Cook County Democratic Committee. Sandra Jackson, known as Sandi, received the $95,000 for political consulting after pledging during her campaign to give “my full attention” to the alderman’s post. Jesse Jackson got a Federal Election Commission advisory opinion in 2001 saying his campaign could pay Sandi Jackson for consulting work without violating a ban on personal use of political donations. Even so, the Chicago Democrat’s fundraising is so entangled with his family’s interests that he’s pushing the limits of propriety, said Melanie Sloan, executive director of Citizens for Responsibility and Ethics in Washington, a nonprofit ethics watchdog group. Aides say both Jacksons take care to avoid legal or ethical conflicts. “Congressman Jackson and Alderman Jackson are each other’s biggest supporters” and “do their best to follow all federal, state and local rules, laws and ethic codes,” Rick Bryant, a spokesman for Jesse Jackson, said in an e-mail. Jackson, 44, said last month he is the subject of a House ethics probe into his contacts with ousted Illinois Democratic Governor Rod Blagojevich about the U.S. Senate seat vacated by President Barack Obama. Blagojevich faces federal charges that he tried to sell Obama’s seat. Jesse and Sandi Jackson have been building a political dynasty as a power couple on Chicago’s South Side, sharing personnel and campaign assets. Jesse Jackson hired Sandi Jackson’s chief of staff, Bonita Parker, as a “special assistant” on his taxpayer-funded congressional staff in April 2008, paying her $22,000 through March 31, federal records show. Over the same period, Parker made an annual city salary of $77,724 in 2008, which rose to $80,052 on Jan. 1, said Constance Buscemi, a city spokeswoman. Parker is former chief operating officer and said she is still on the board of the Chicago-based Rainbow/PUSH Coalition, a civil rights group started by the congressman’s father, the Reverend Jesse Jackson Sr. In a brief telephone interview May 19, Parker declined to comment about her employment by the Jacksons. Last November, Sandi Jackson’s political committee paid for a statewide poll showing her husband as “the favorite” among Illinois voters to fill Obama’s Senate seat. Jesse Jackson won a 1995 special election when he was 30 years old and has been re-elected to the House of Representatives seven times. Sandi Jackson, 45, worked on Capitol Hill and in Democratic campaigns before marrying Jackson in 1991. She has been vice president for congressional and external affairs at the U.S. Export-Import Bank and deputy director of training for the Democratic National Committee. She was sworn in as alderman for Chicago’s Seventh Ward in May 2007. In February 2008, she won a separate election to be the Seventh Ward’s Democratic committeeman. The FEC noted Sandi Jackson’s “considerable experience and expertise” in its July 17, 2001, opinion clearing Jesse Jackson to tap political contributions to pay his wife as a campaign consultant. Sandi Jackson got a payment for $3,500 11 days later. Sandi Jackson has continued to get money, receiving $5,000 payments from her husband’s political committee in 19 of the 22 months between her swearing-in as an alderman and the end of March, the last month for which federal campaign-expense filings are available. The 2008 total of $55,000 was more than she received in any previous year. Jesse Jackson’s FEC reports list payments as being made to J. Donatella & Associates, which Bryant described as “Sandi’s sole proprietorship” for her consulting work. The couple’s oldest child is 9-year-old Jessica Donatella Jackson. From 2003 through mid-2005, the recipient is shown on Jackson’s reports as “Lee Stevens” or “Lee Steven” at the J. Donatella firm. Sandi Jackson’s middle name is Lee. Her maiden name is Stevens. “Using all these different names to describe the same person raises questions as to whether they’re intentionally disguising information on their FEC reports,” said Jan Baran, a Republican election lawyer at Wiley Rein LLP in Washington and a former FEC official. Bryant, of Jesse Jackson’s staff, said a “software glitch” during one reporting period caused the report to list “an abbreviated version of Sandi’s legal name, Sandra Lee Stevens Jackson.” In FEC records, variations of the Lee Stevens name appear on reports spanning parts of 2003, 2004 and 2005. Sandi Jackson identified the J. Donatella firm as a source of outside income on her 2007 financial disclosure with Chicago’s city clerk. Jesse Jackson listed his wife’s firm on personal finance disclosures for 2001, 2002 and 2003, but didn’t mention her consulting work on filings for 2004, 2005, 2006 and 2007. Earlier this year, Jackson amended those reports, saying the Donatella firm was omitted by mistake. While he isn’t the only candidate to hire a relative for campaign work, Jackson was the first to obtain an FEC opinion on the practice, agency spokeswoman Judith Ingram said. Since 2001, “it appears that many candidates are relying on” the opinion’s guidance, she said. In addition to payments for consulting work, Jesse Jackson’s political committee has transferred more than $227,000 to Sandi Jackson’s campaign organization since October 2006, according to his campaign reports. He provided in-kind benefits of $71,914, including billboard space worth about $66,000. Federal election laws permit members of Congress to contribute their campaign funds to candidates for state and local offices. Jesse Jackson requested an FEC opinion in 2007, which said he also could give unlimited amounts to Sandi Jackson’s race for her Democratic Party post. The congressman got some reciprocal benefit when the “Friends of Sandi Jackson” campaign bankrolled a Zogby International poll that showed Jesse Jackson atop a list of 10 possible contenders to replace Obama in the Senate. Sandi Jackson’s campaign reports show almost $26,000 paid to Utica, New York-based Zogby two days before polling began.